Living My Essential Life: Tummy Troubles? 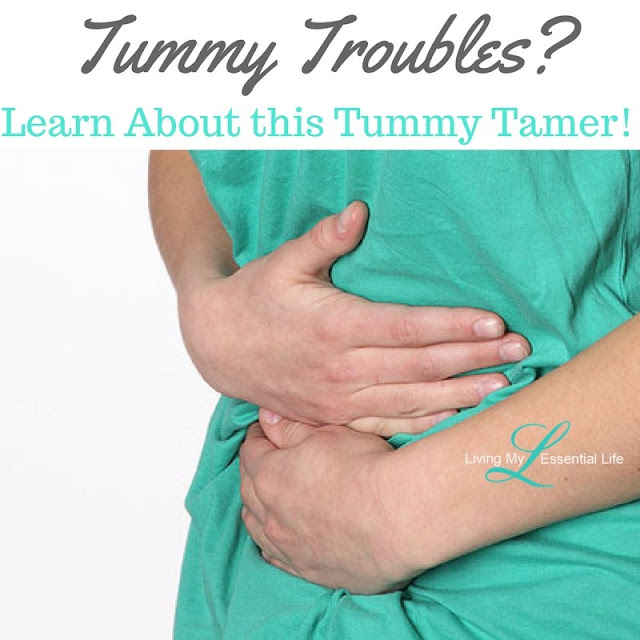 Learn All About this Tummy Tamer! How many of you have ever had one of these things happen while you are out at a restaurant, enjoying the best food you have ever had and then out of the blue – BAM! Disaster strikes. You are eating that delicious spicy chicken curry at the Indian place downtown with your hubby and then your tummy starts doing tricks, like 6 kids hopped up on sugar, bouncing around on a trampoline. You are up the road at your favorite Mexican bar with your gal pals for margarita’s and nachos and all of a sudden your esophagus is flaming something fierce! You are headed out of town for your cross-country adventure in the minivan with the family to visit your in-laws and BOOM! Your nerves kick in and you start to feel nauseous. My hubby – with the curry. Me – with the margarita’s. My mom – with the travel issues. When these stomach issues happen, how many of you head to the bathroom cabinet and grab your go-to product to help “fix” that tummy trouble? Well, put that down! I am gonna let you in on a little secret. What if I told you I have access to something that people on “the street” refer to as the “Tummy Tamer”! And….it doesn’t taste like sidewalk chalk! It is actually a blend of ginger, fennel, coriander, tarragon, anise, caraway, and peppermint! Our family uses this on a daily basis – if not multiple times a day in some form or another. It is DIGESTZEN essential oil blend! And it is amazing! It is great for any type of digestive problems and it can be used aromatically, topically, and internally. Great for at-home or on-the-go use. Below are some great ways to use DigestZen for any tummy or digestive issue you face! Does flying or driving long distances make you a little nervous? The sweet, minty smell of DigestZen will provide a calming aroma. So the next time you’re planning on traveling for an extended period of time, inhale DigestZen oil before you take your trip (or while you are on the road.) You can also add a few drops to water to take internally or rub on the stomach before flying or taking a road trip to keep stomach jitters at bay. If you feel like you have taken on too much at once in life, diffuse this oil to help with feeling overload and over-stimulation. If you are looking for a healthy and natural way to assist your digestive system, the DigestZen essential oil blend is an ideal option because it contains a blend of essential oils that will naturally aid the body in the digestion of food. Make it a part of your regular routine! This will help your body maintain a healthy gastrointestinal tract. Add one drop of DigestZen oil to 4 fluid ounces of liquid, and drink. 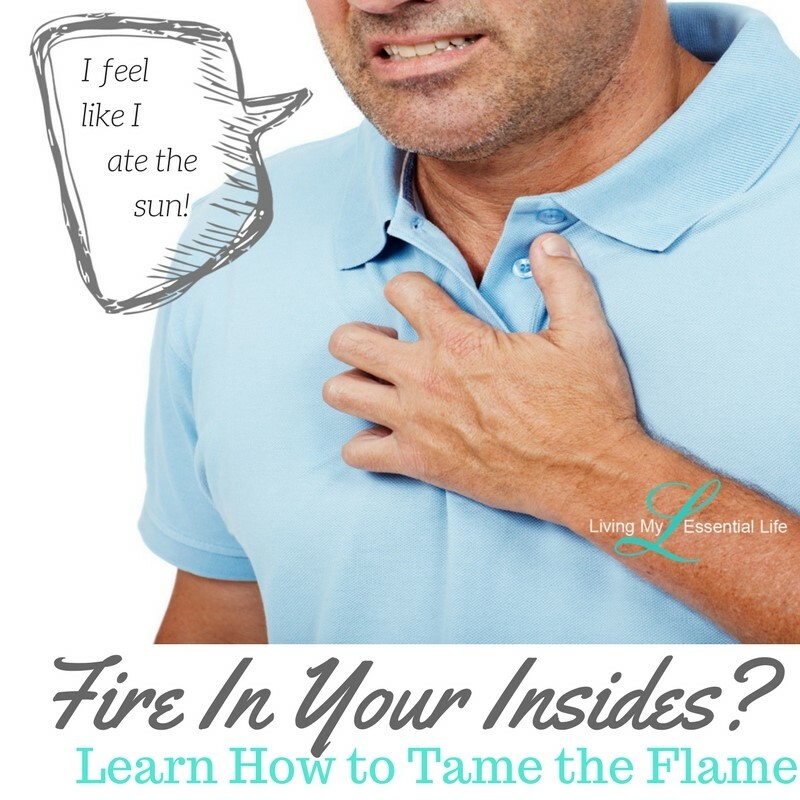 The unpredictability and discomfort of occasional stomach upset, bloating and gas can often put a damper on the day. When issues like these arise, apply one to two drops of DigestZen to the desired areas of your skin. DigestZen will work to soothe occasional stomach upset and you can take on the day again. I mean, who of us LOVES to spend all day in the BATHROOM? Whether trying the cuisines of Italy or enjoying the tastes of India, introducing foreign food to the body has the potential to disrupt the stomach’s normal digestion. When you are traveling or exploring new foods, use DigestZen to soothe occasional stomach upset and to promote healthy digestion. DigestZen can be taken internally or applied topically. DigestZen provides a safe and natural way to assist in digestive health whenever you may need it. Just pop it in your pocket! For more information about DigestZen, read this blog. Ready to get your own wholesale account and get your oils at a 25% discount? Check out this month's enrollment promotions.